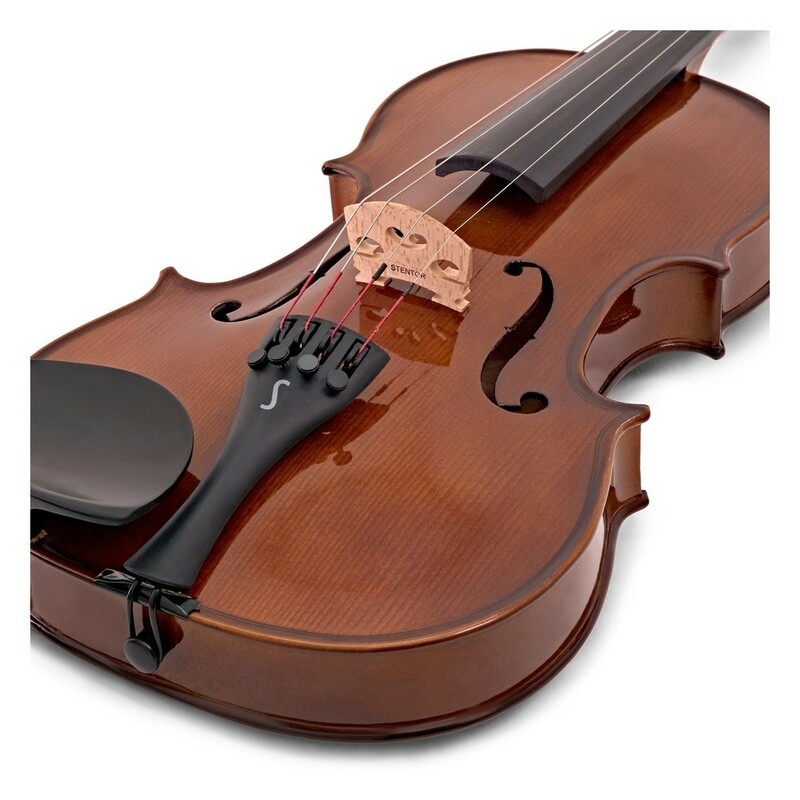 The Student 2 violin full size has long been regarded as one of the best student instruments available. As with all Stentor products, the Student 2 full size is built to keep up with the busy lifestyle of a music student. The carved spruce body clearly projects warm and bright tones with maple back and sides. The traditional inlaid purfling and natural finish give the violin a classic look. Gear4music Violin Strings are made of steel core for quick response, stable pitch and enhanced volume, and produce a bright and well-focused sound. These strings are easy to play, making them ideal for beginners and students alike.